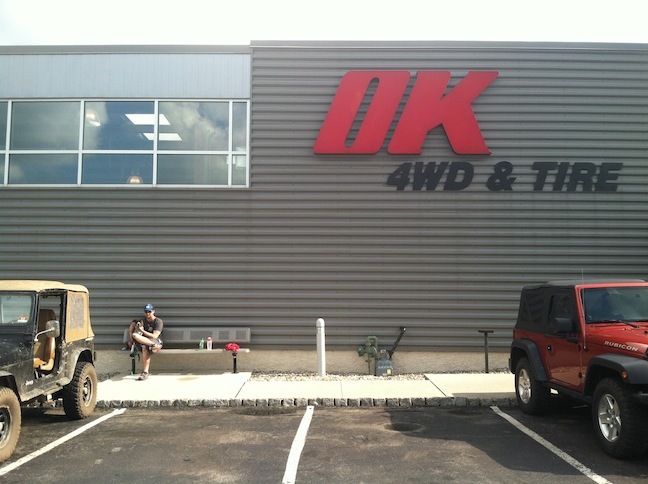 As we get ready for our final departure, we made a trip to OK 4WD & Tire in Stewartsville NJ. Like a fat lady in a taco shop I walked around hypnotized by all the stuff I wanted to buy. I could have easily blown the budget in no time, but after a few deep breaths I convinced myself to only purchase what I came for. They installed my ad-a-leaf springs on my Dakar leaf packs and I bought an ARB awning, viair 12-volt compressor, recovery gear, as well as a few odds and ends. Everyone at the place was a great help. We walked out a few hours later completely satisified. Mission accomplished! 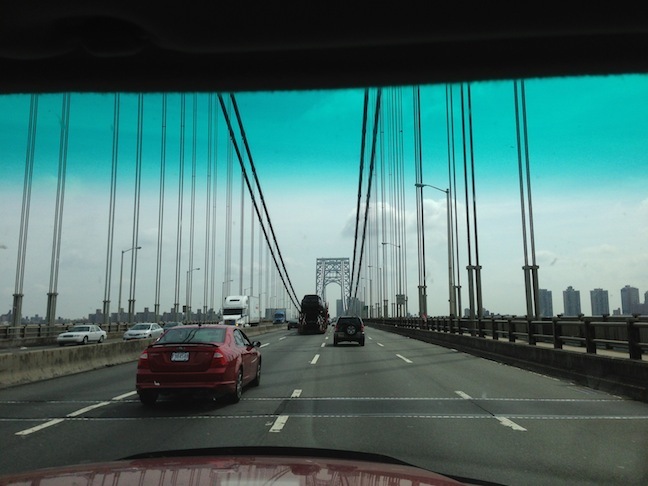 We did our final departure from Jersey City yesterday. Our apartment is rented, we said our final farewells to the hood, and now we visit our families one last time before we hit the road for good. The emotions and excitement are running hot through our veins. We predict that Labor day is the offical start of our 18 month journey. Wish us luck! Ahhh! Safe travels! See you in sunny CA! Wishing You luck. Take care and have fun !!! Love you, be safe, have fun. Safe travels, Dean and Sara!!! and lupe. my favorite photos thus far. let me know when you get to mexico city. i’ll meet you there. or panama.